So I've been on here for a fair amount of time now and finally getting around to introducing myself, but first off thank you all for the info on this site - its been invaluable to me in the purchase process! Its taken 10 months of looking and finally I ended up with the spec that I wanted from day one - I must have seen/driven about 8-10 cars before this turned up. 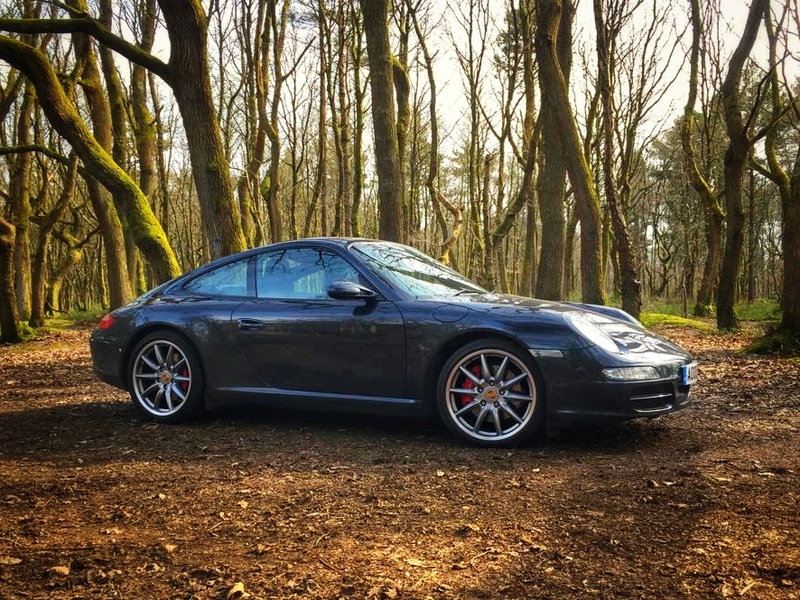 MY08 C2S Manual, PSE, Atlas Grey, Carrera Sport Wheels, Hard back seats - thats it - I was looking for something that didn't have loads of extras on it - to save weight & its a 3rd car so not bothered about lecky seats or cruise control etc.... I've only turned the radio on twice and the first time was to make sure it worked. So far I've had the paint corrected on it and wow never knew a 'grey' car would have flecks of blue/green in it but its stunning now. All the bolts on the exhaust have been swapped over, new tandem oil pump, new battery, air filter has been changed along with the induction pipe - then I pulled the PSE cord out, gotta love giving the neighbours a little nudge early on a Sunday morning! The immediate to do list is; fit the SSK (I got it two months ago), low oil temp and 3rd radiator, RSS mounts and sort out the steering wheel - not sure what to do yet but its way too thin for my liking. Needless to say I am over the moon with my 'new' toy - still have to turn around and look at it every time I park it! If you have been lurking here then you know he will ! Yes, Atlas grey is an interesting colour. Depending on where the sun is or isn't will depend on how it pops in the light. 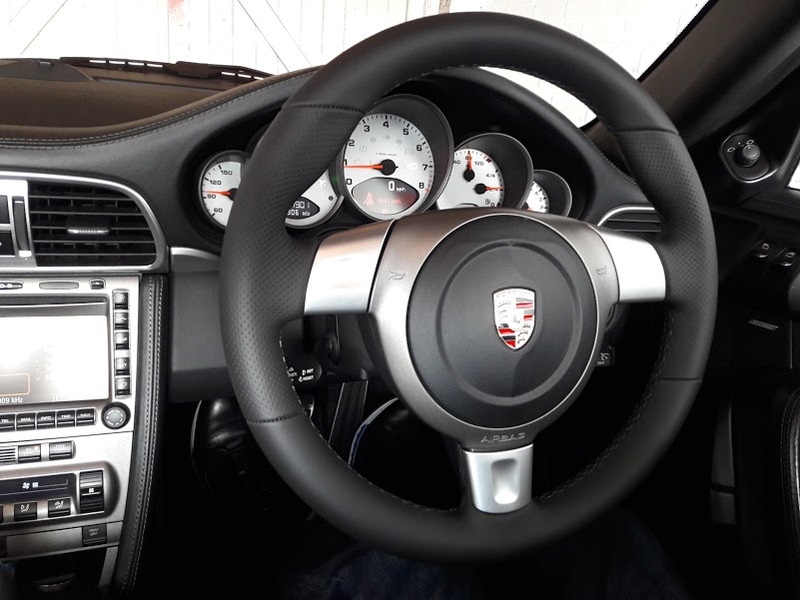 Steering wheel , cheapest option is a retrim from Royal or DesignLS or you could retrofit a gen2 wheel as yours is a manual you shouldnt need a newer steering control module, so just the gen2 wheel and airbag. Ride height , yes as you hint at coilovers are the best option but at 2k to 2.5k costly , leaving the cheaper option of lowering springs techart group buy happening at the moment these will give a PASM car a 15mm drop or H&R these will drop the car a bit more like 20/25mm. You said you have done the induction hose resonator plug mod have you also fitted a BMC filter. Great looking car Good choice of first mods, +1 for Jack at Royal Steering Wheels, great service and good price too. 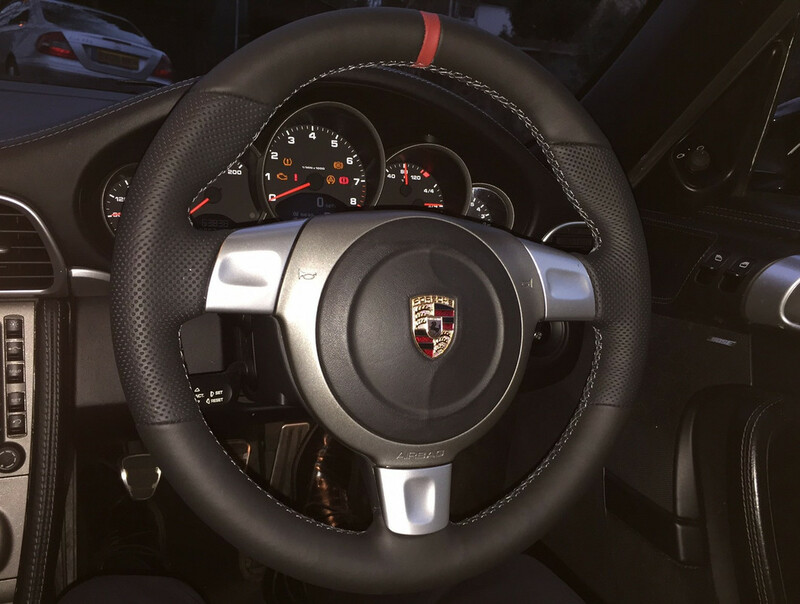 Think the steering wheel was my first mod, 2mm thicker makes a huge difference in feel! In terms of the Royal steering wheel I had one made for my m3. The value and quality are superb. 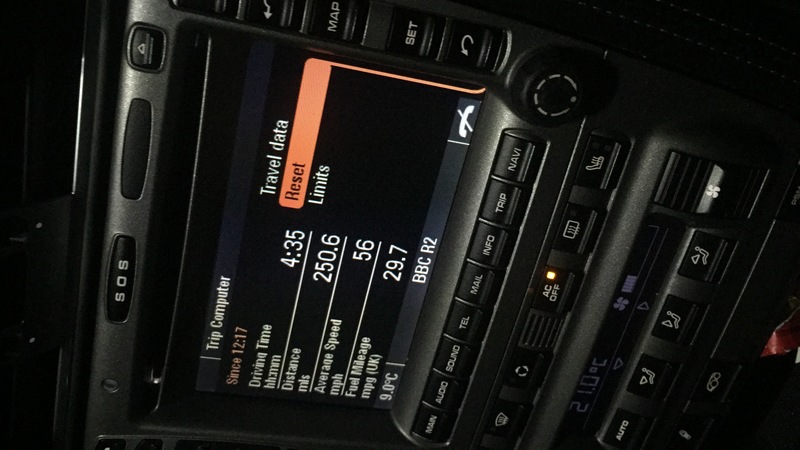 One thing though - I had an alcantara item with the 12 o’clock mark and as awesome as it looked, I actually didn’t like the extra width and the thin 997 wheel was one thing I couldn’t wait to get back to! All very personal but try and get a feel of one before commiting IMHO. Lovely looking car and have to agree- those wheels look great. I’ve just had the Alex Yates modded SSK fitted and it’s superb. One of the best mods I’ve done so far. Also joined the Techart springs group buy as I also think the car sits just that wee bit too high. Anyhow, nice car and health to enjoy. Welcome - car looks stunning! Nice mods done so far, I’m also tempted by SSK. I’m also a fan of the ‘less is more’ approach. Welcome! great choice of colour, although i may be a little biased! Right didn't think I needed the spacers on these wheels but they've just been added to the shopping list - along with new bolts! Dam Porsches are expensive habits to have.